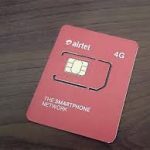 Smile 4G LTE which was previously limited to only 4G LTE Mifi and routers, recently launched a 0702SMILE which would enable you to be able to use their SIM cards on 4G LTE enabled phones, to make phone calls and send SMS, amongst other things. 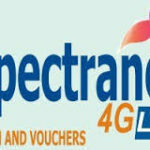 Smile Communications SuperFast 4G LTE internet is available in Lagos, Port Harcourt, Ibadan, Abuja, Benin City, Kaduna, Onitsha and Asaba and it continues expanding at a rapid rate across Nigeria, covering other states and cities which other 4G LTE providers aren’t covering yet. You can order online for Smile 4G LTE Sim or any of their devices online or walk to any of their stores to purchase it in person. When you order online, depending on your location, you get it delivered to you free, they currently have free local delivery to following cities in Nigeria: Lagos, Ibadan, Port Harcourt, Abuja, Benin City. NB: Difference between the UnlimitedLite Plan and Unlimited Premium Plan. NB: Midnight plans are only available from 12 midnight to 6am. The data roll-over rule applies when there is unused data left at the end of the validity period and the customer renews their data plan.